This is a brand new, high-quality replacement Power Steering Hose for your B6-B7 S4. 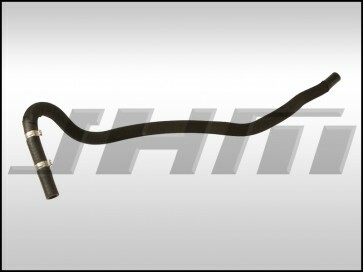 This is a return hose that takes power steering fluid from the cooling pipe that runs in front of the AC condenser and radiator to the power steering fluid reservoir. This hose is made by an original equipment supplier (OES) that makes many parts for Audi but did not manufacture this specific one for the car from the factory.